Chinese bombers are likely training for strikes against US and allied targets in the Pacific, according to a new Pentagon report that also details how Beijing is transforming its ground forces to "fight and win." The annual report to Congress, released Thursday, highlights China's growing military, economic and diplomatic clout and how Beijing is leveraging this to rapidly build its international footprint and establish regional dominance. 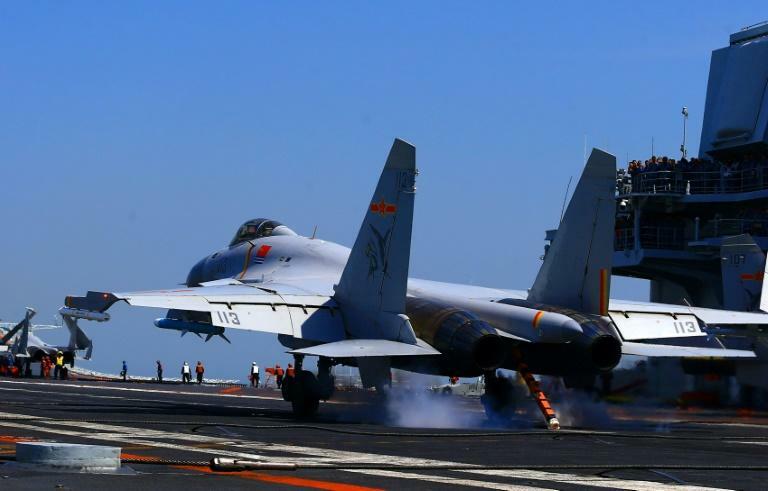 In the case of China's air power, the report states that Chinese bombers are developing capabilities to hit targets as far from China as possible. "Over the last three years, the PLA (People's Liberation Army) has rapidly expanded its overwater bomber operating areas, gaining experience in critical maritime regions and likely training for strikes against US and allied targets," the document states, noting how China is pushing its operations out into the Pacific. In August 2017, six Chinese H-6K bombers flew through the Miyako Strait in the southwest of the Japanese islands, and then for the first time turned north to fly east of Okinawa, where 47,000 US troops are based. The PLA may demonstrate the "capability to strike US and allied forces and military bases in the western Pacific Ocean, including Guam," the report says. China is engaged in a decades-long build-up and modernization of its once-backward armed forces, and military leaders have set a goal of fielding a world-class military by 2050. President Xi Jinping last year ordered the PLA to step up efforts, saying China needed a military ready to "fight and win" wars. The call has alarmed China's neighbors, several of whom are embroiled in tense border disputes with the superpower. According to the Pentagon, the PLA in April 2017 undertook a massive transformation of operational and tactical units as part of its structural reforms. With nearly a million troops, the PLA is the largest standing ground force in the world. "The purpose of these reforms is to create a more mobile, modular, lethal ground force capable of being the core of joint operations and able to meet Xi Jinping's directive to 'fight and win wars,'" the report notes. China's military budget for 2017 was about $190 billion, according to the report, far behind the Pentagon's annual budget of about $700 billion. When the Pentagon released its annual report last year, Beijing dismissed it as "irresponsible" in predicting that China would expand its global military presence by building overseas bases in countries like Pakistan. This year's report reiterates that China will seek to establish new bases in countries such as Pakistan. The document also shines a light on China's ongoing military preparations for a "contingency" in the Taiwan Strait. Officially, China advocates for a peaceful reunification with Taiwan, but it has never repudiated the use of military force, the document notes. "The PLA also is likely preparing for a contingency to unify Taiwan with China by force, while simultaneously deterring, delaying, or denying any third-party intervention on Taiwan’s behalf," it states. "Should the United States intervene, China would try to delay effective intervention and seek victory in a high-intensity, limited war of short duration." To the ire of regional neighbors, China has built a series of islets and ocean features into military facilities in the South China Sea. 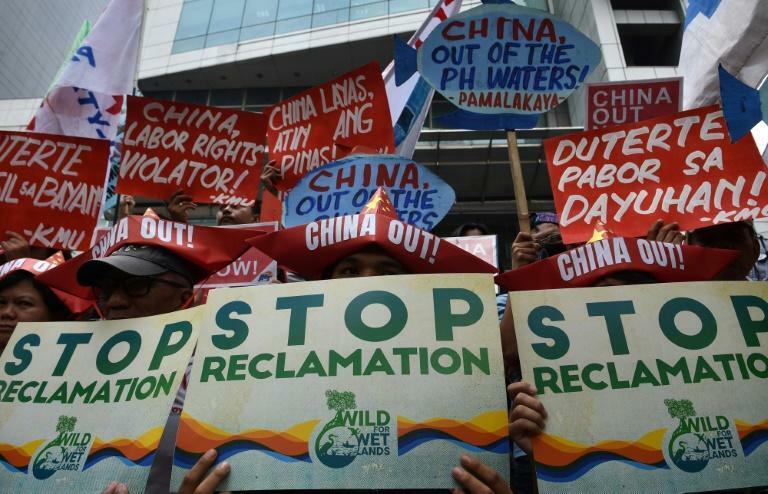 Beijing has now stopped substantial land reclamation. "However, it continued to build infrastructure at three outposts," the report says.